Thursday morning I awoke to the secondary level alarm (the bathroom door. The "primary" is on the auto level control pad). The bathroom door was closing by itself - we were no longer level! As soon as I had my shoes on, walked the dogs, said my morning prayers and made coffee, I checked our situation. 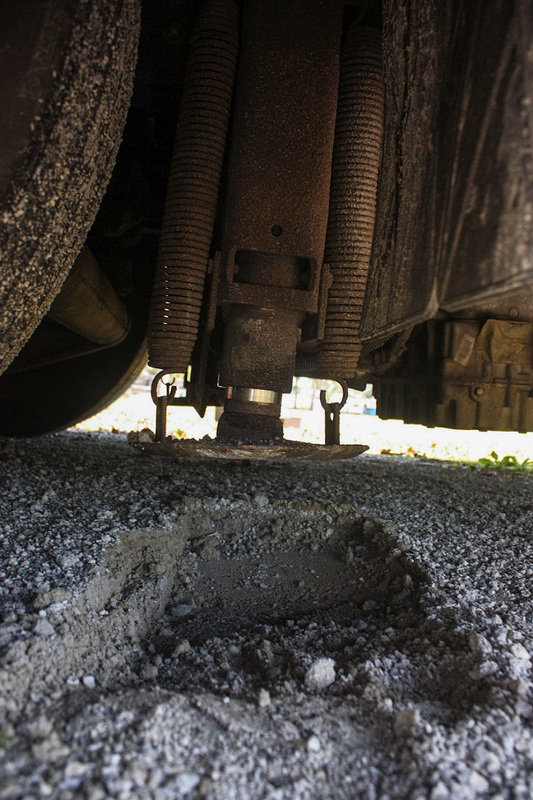 I found the left rear leveling jack along with the jack pad under it had sunk into the gravel parking site. This is what my investigation turned up. Not good! The results of our non-voluntary episode at compacting the parking pad at our camp site. Fearing that this racked (twisted) the motorhome's chassis, I took action. I needed to perform a re-level. Ordinarily you would first pull in the slide out rooms before pulling up the jacks but I could not risk doing that with a twisted chassis frame. I raised the jacks which put all the weight on the wheels and we felt a bit more secure. I put larger jack pads under the rear jacks and hit the auto level button. A kind of earth quake shudder went through Phaeth as the larger pads made of lumber broke in half and also descended in to the growing sink hole. My poor fractured 2 x 10 jack pads. I will have to go to Lowes or Home Depot and make new ones. Images of aerial photos of famous Florida sink holes flashed through my head so I made a sort-of-emergency call to the campground office. They were very apologetic and said they would send out the maintenance man who, after viewing the situation, called the head maintenance man, who gave orders for the maintenance man to get two 2 x 10 by 8 foot long planks and a tractor load of gravel. The planks were new, pressure treated pieces of lumber with a very high water content which would resist breaking. Once they were positioned under the jacks I hit the re-level button. The new timbers bent but did not break. 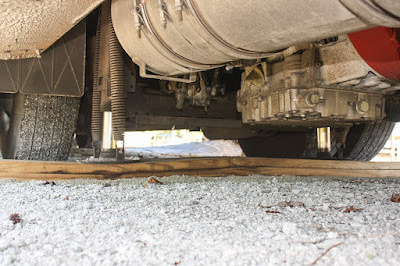 The rear axel is carrying about 22,000 plus pounds (11 tons), so the jack points are pressing down at close to 11,000 lbs. each but the weight is spread out over 8 square feet. The expressions on the faces of the maintenance workers said it all when they saw their timbers bend under the load. Upon questioning the maintenance workers, we found out that the parking site we were assigned had recently been enlarged to accommodate larger RV's and we were the first "big rig" to make use of it. The gravel on the enlarged part had never been compacted. They had expected the RVs using it would do all the compacting work for them. They had substantially underestimated the weight of a motorhome! Geesh..... that would be scary. 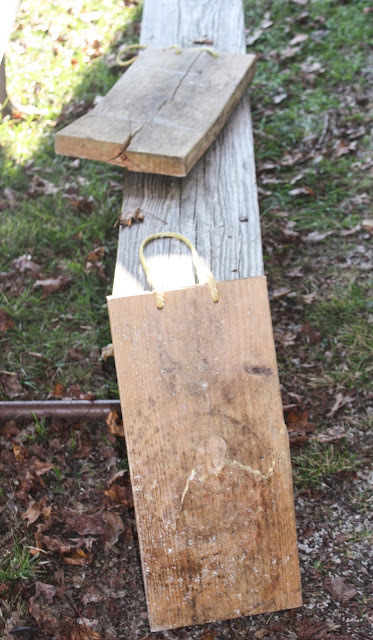 Leonard made double thick landing planks for under our jacks but I suspect ever those would not be sufficient under those conditions.